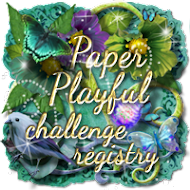 Simply Create Too Challenge Blog: MID-POST CH. #89 GET AHEAD FOR CHRISTMAS & FAVORITES FROM CH #88! MID-POST CH. #89 GET AHEAD FOR CHRISTMAS & FAVORITES FROM CH #88! This is the half-way point for our current Challenge #89- "GET AHEAD FOR CHRISTMAS"- there is still plenty of time to get your beautiful entries posted below so stop on by and join in! Sorry for the delay in posting as I've been getting things situated because I'm having surgery next week. Congrats & please take our winners badges for your blog! Pretty DT projects, especially Ruth's box - thanks for sharing!